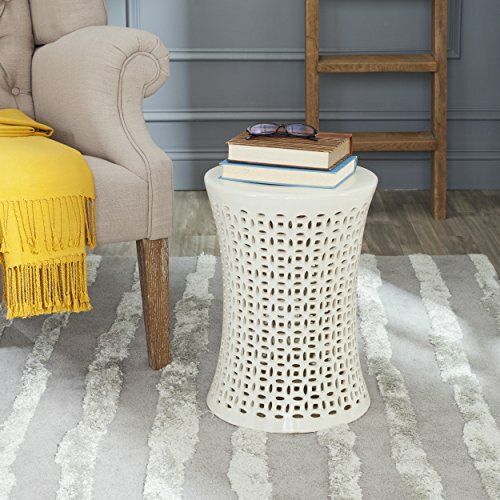 A graceful hourglass silhouette lends updated transitional style to the cream-toned Camilla indoor-outdoor garden stool. Crafted of glazed ceramic with an allover Chinese lucky coin motif, the pierced design evokes images of lacy flower petals. View More In Decorative Garden Stools. Ceramic Garden Stool Bird On Branch Design 14"x18"